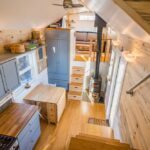 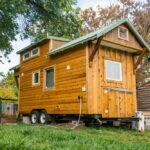 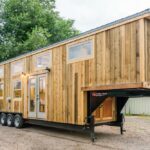 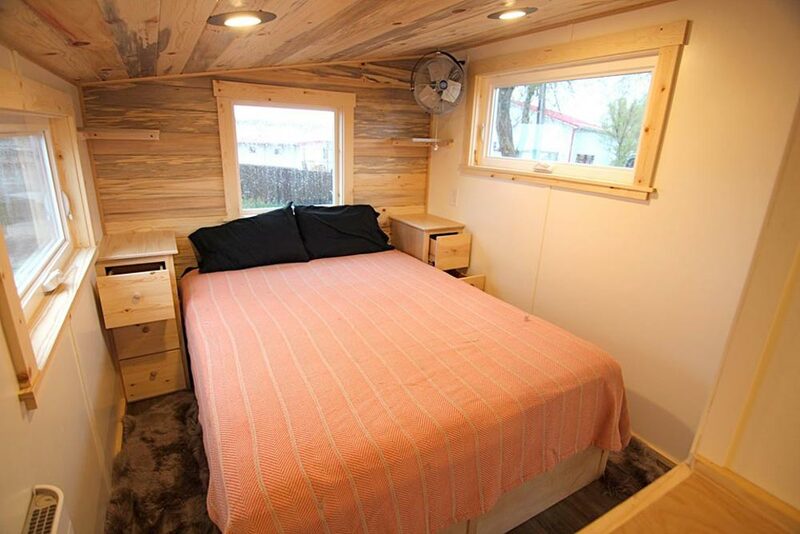 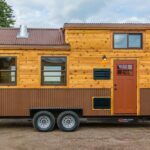 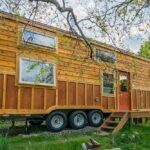 This one-of-a-kind gooseneck tiny house was built by MitchCraft Tiny Homes for their clients, Elise and Clara. 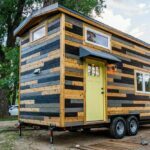 The Colorado-based builder used custom fabricated panel siding, cedar tongue-and-groove, and a shou sugi ban burnt cedar chevron accent to create one of the most unique exteriors we’ve seen! 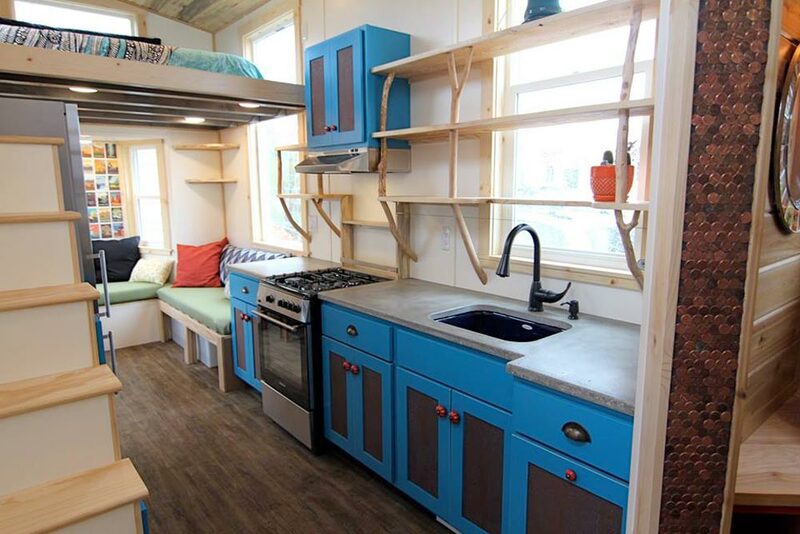 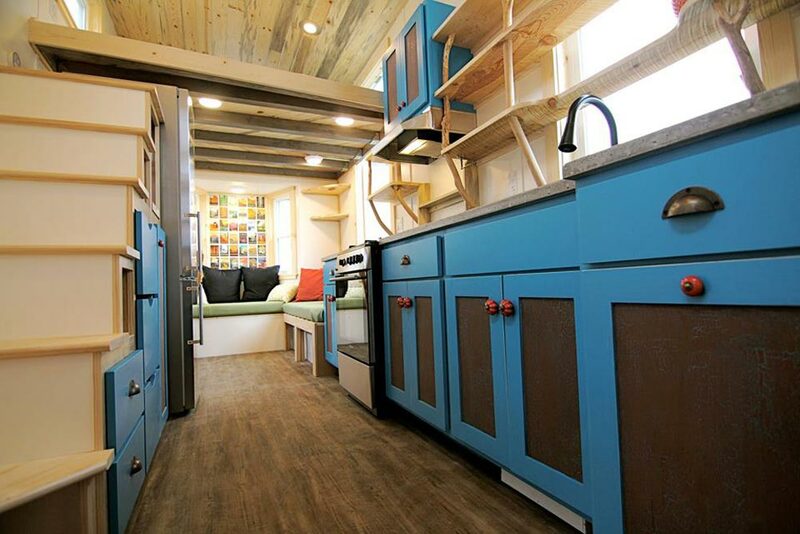 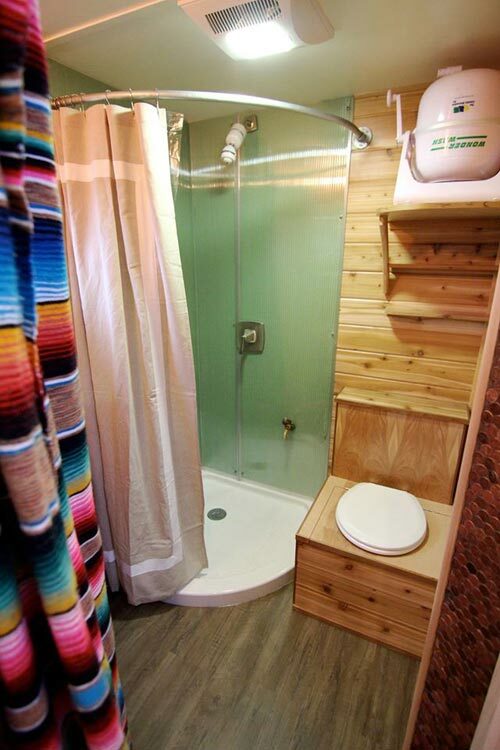 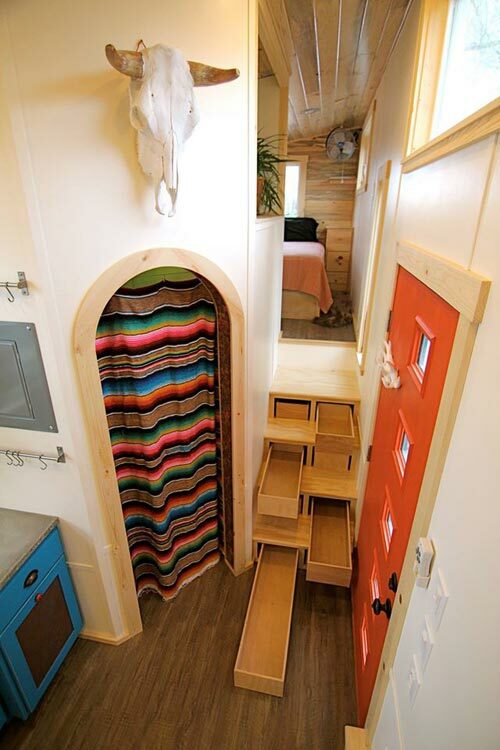 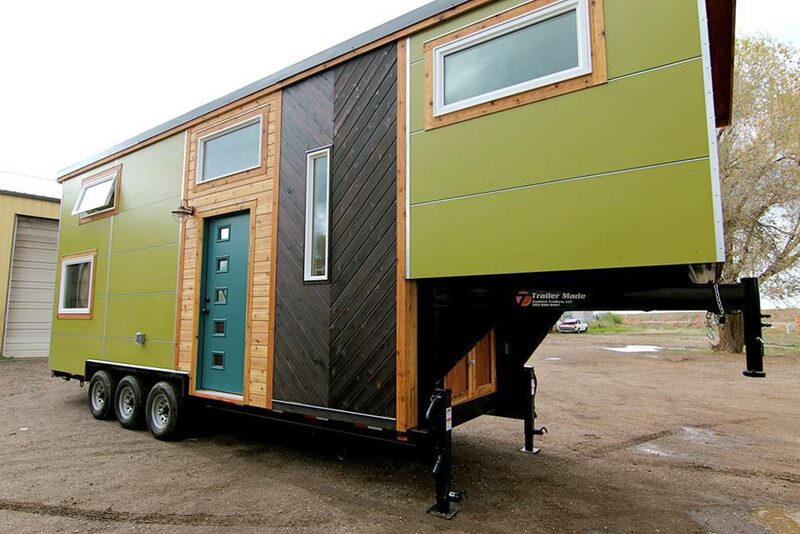 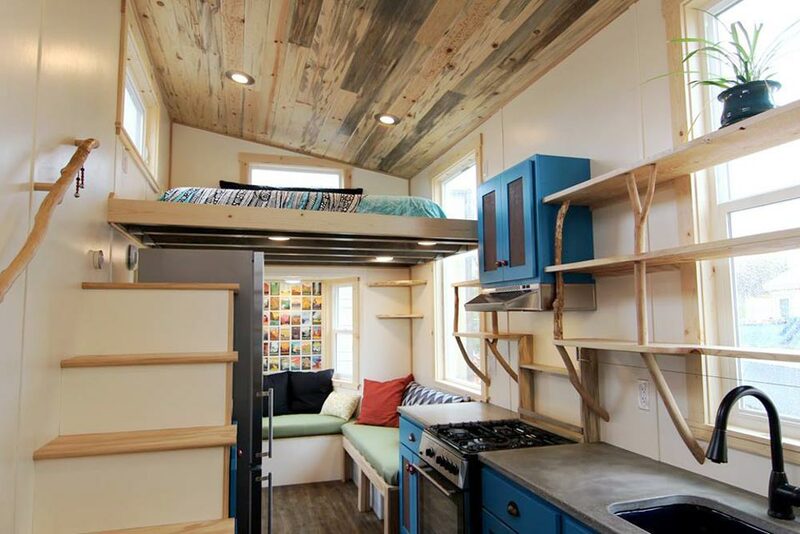 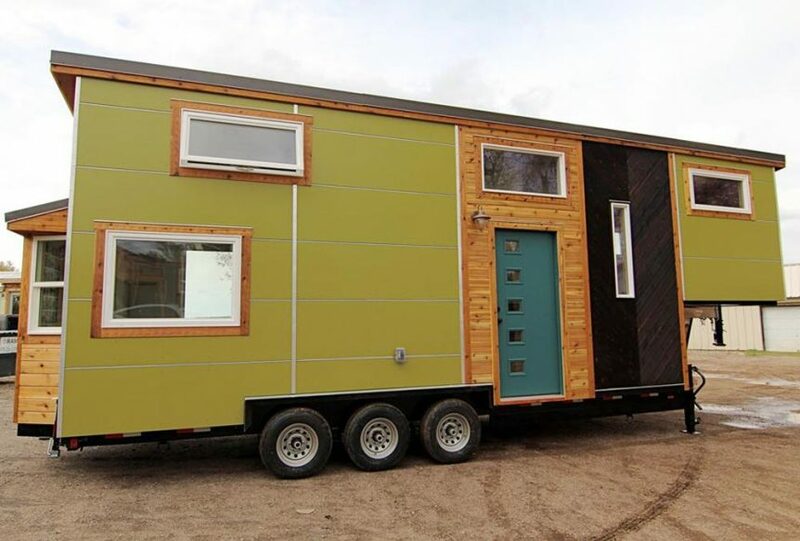 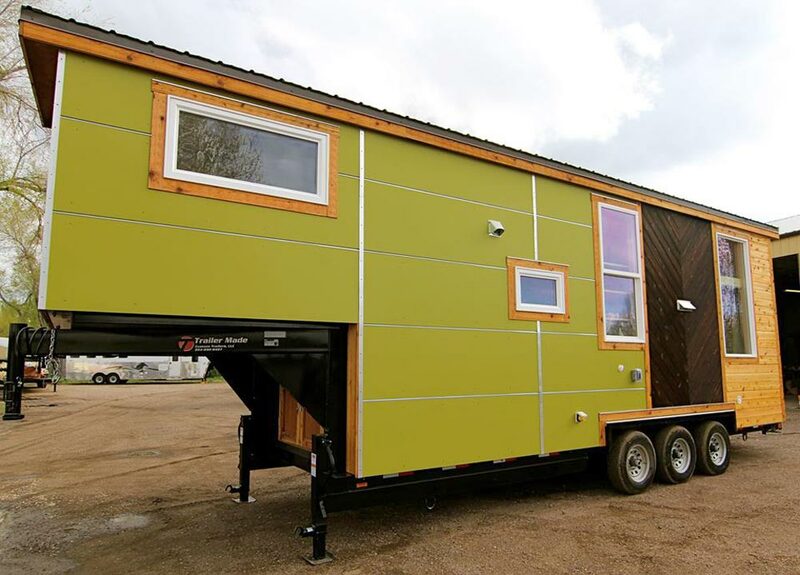 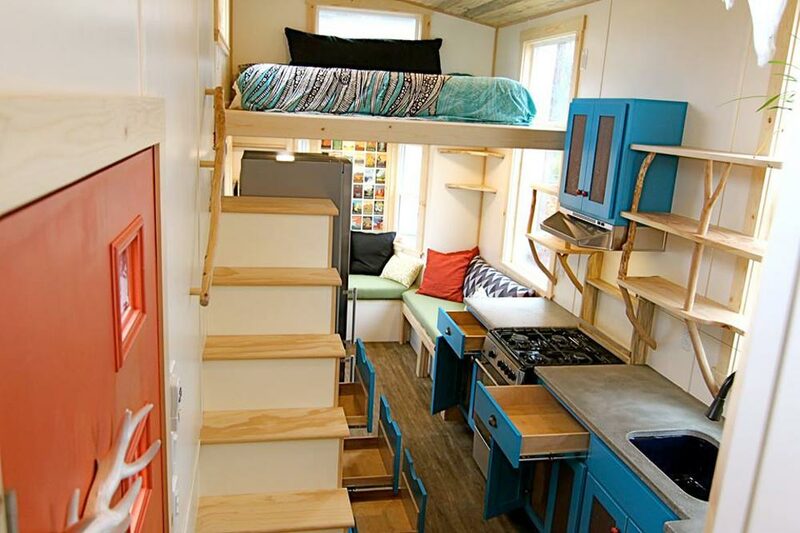 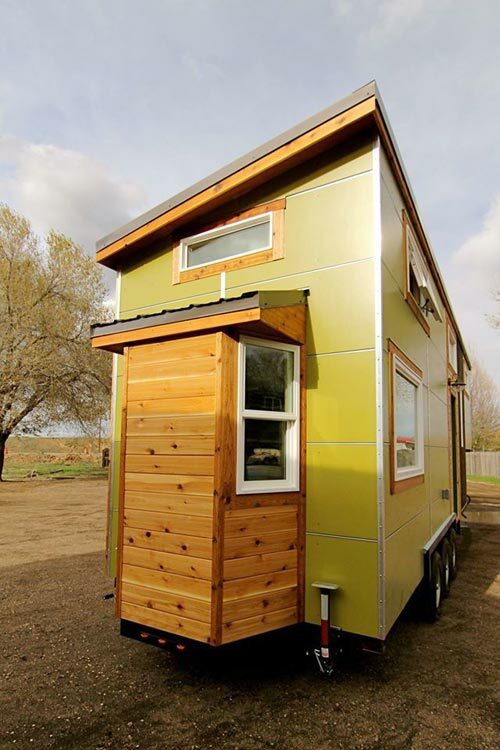 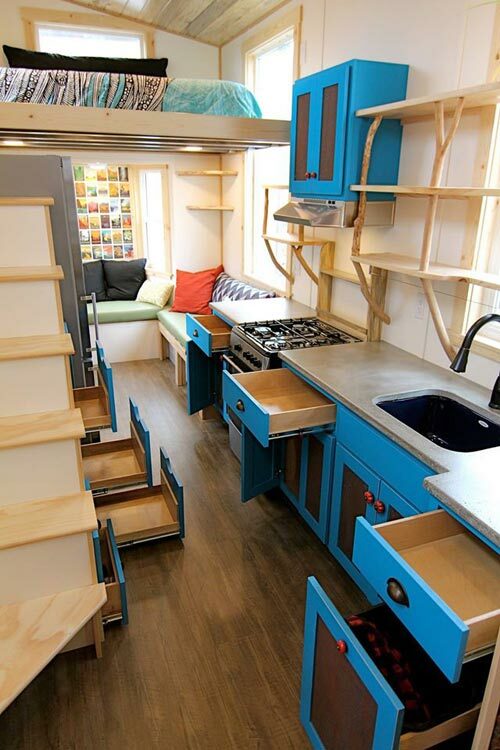 Designed for full-time living, the 31′ tiny house is functional and provides plenty of storage. 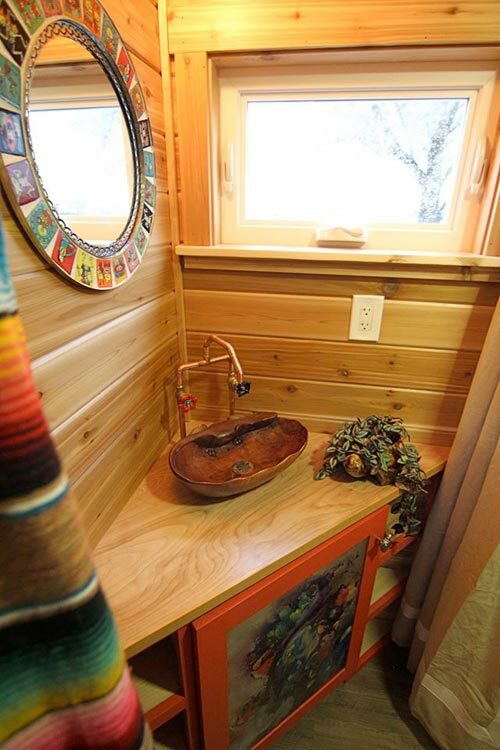 The natural finishes and bold cabinet colors give the house a rustic southwestern charm. 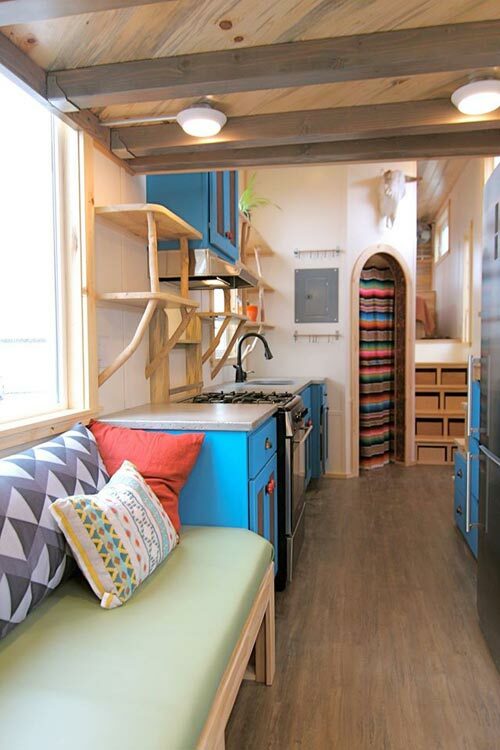 In the kitchen you’ll find turquoise blue cabinets, concrete counters, a freestanding gas range, and an apartment size refrigerator. 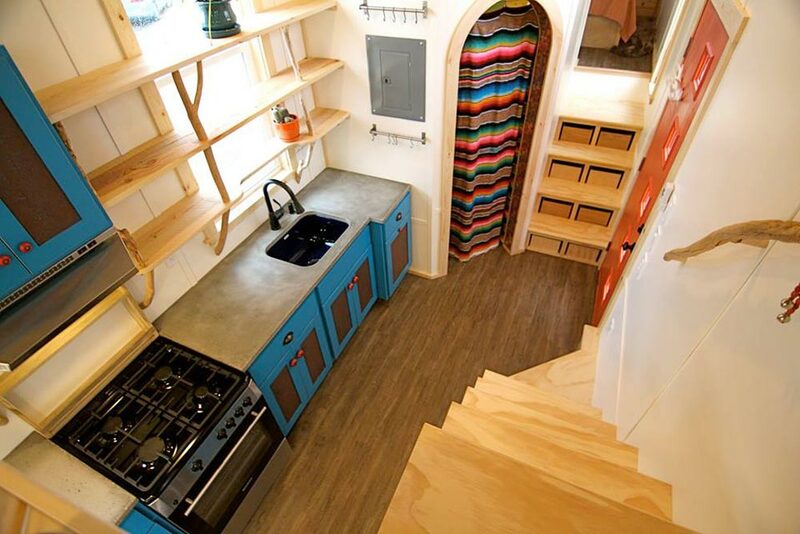 The open shelves have branches as their supports. 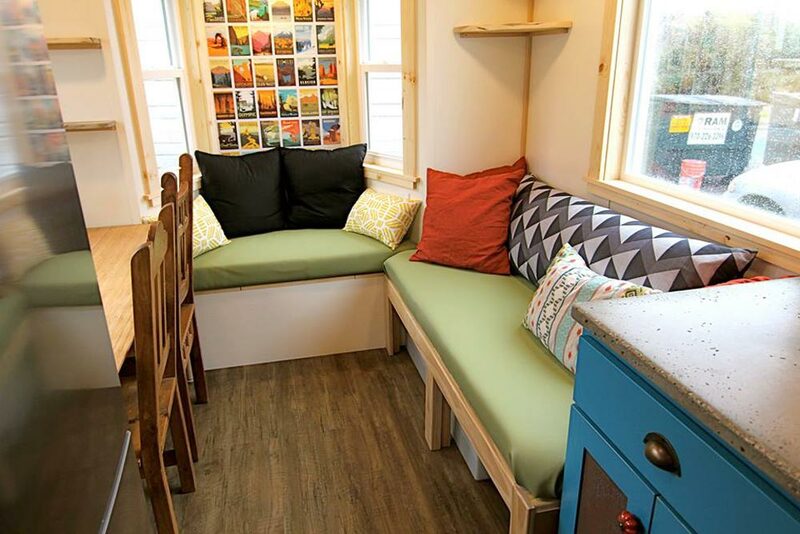 A bay window at the rear of the tiny house allows room for an extra couch and dining table with two chairs. 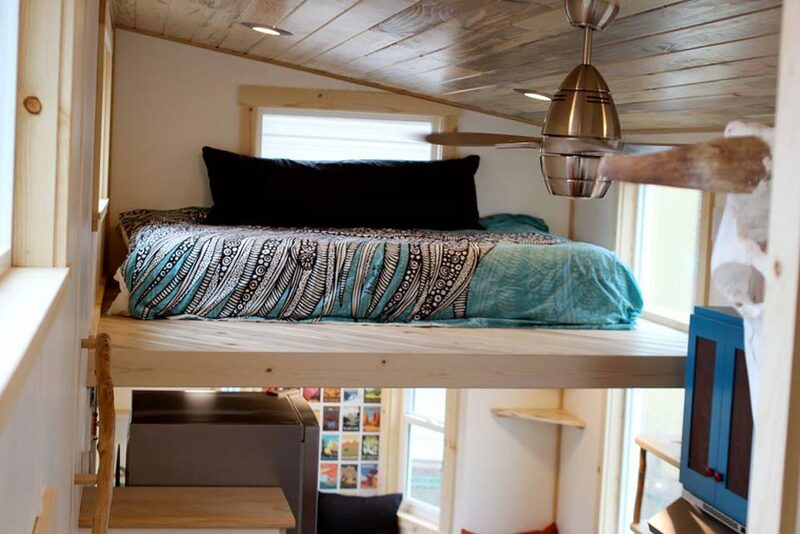 There are two bedrooms, one located over the gooseneck deck and the other is a loft over the living room. 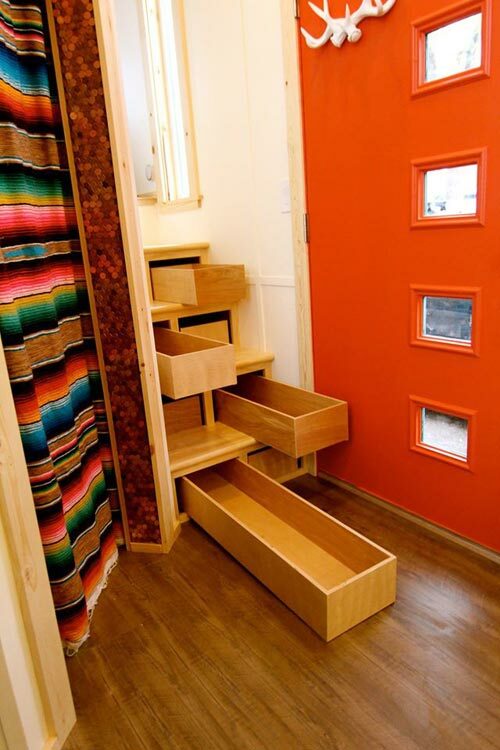 Both bedrooms are accessed by storage stairs.